Here is my tutorial of setting up blueprints, hope u like it! 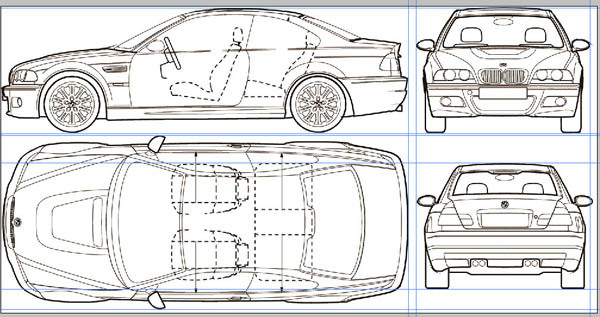 Here I will fix the BMW M3 blueprint, which I took from this site, because it's my last project. 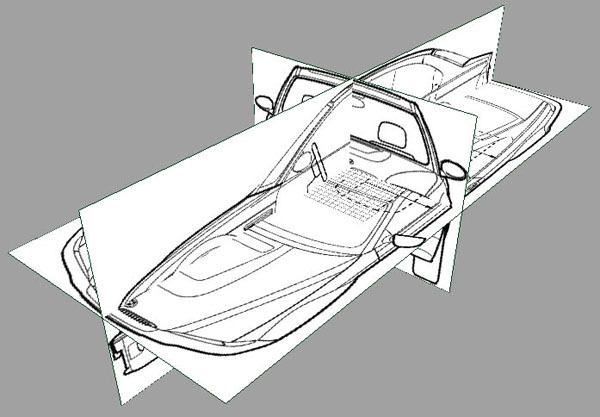 All we need is: blueprint, Maya, Photoshop, hands and a little patience. 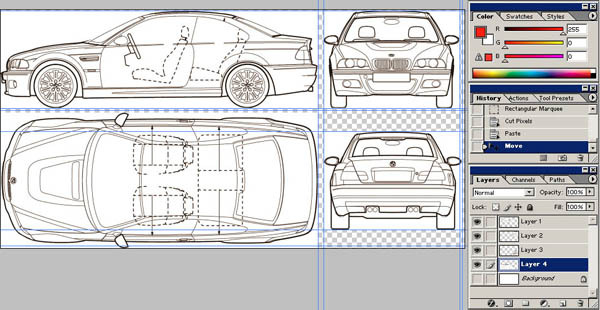 First we need is to download blueprint, go http://www.the-blueprints.com/index.php?blueprints/cars/bmwcars/ and download the BMW M3 (E46) blueprint, which is 1500x770 pix. If its in BMP or GIF etc. 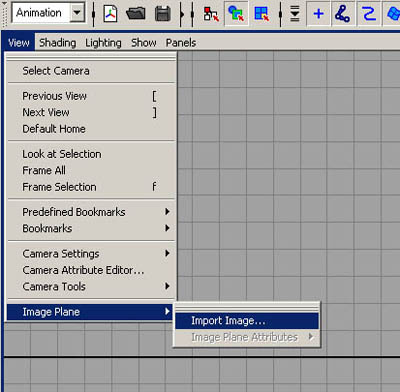 make sure that in 'Image->Mode->RGB Color' flag is on, its important and it's better to save it in .tiff format. If a guideline will jump when you move it to the end, just hold ctrl. Ctrl+LMB on layer then cut, ctrl + n, paste, and ctrl + shift + e or ctrl + e (to merge layers because we don't need them). Choose the 'front.tif' do the same to all views... done? 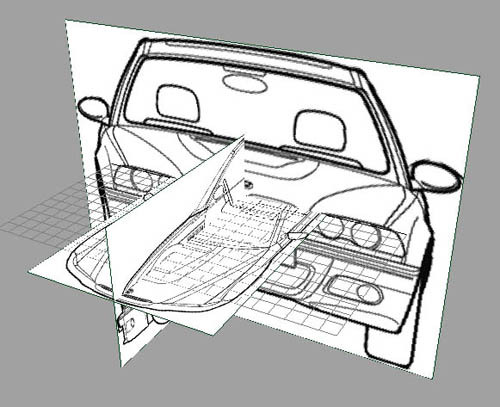 Then go to perspective view. You can divide all numbers by 10 (or by 100), if you want, it will be a good thing. 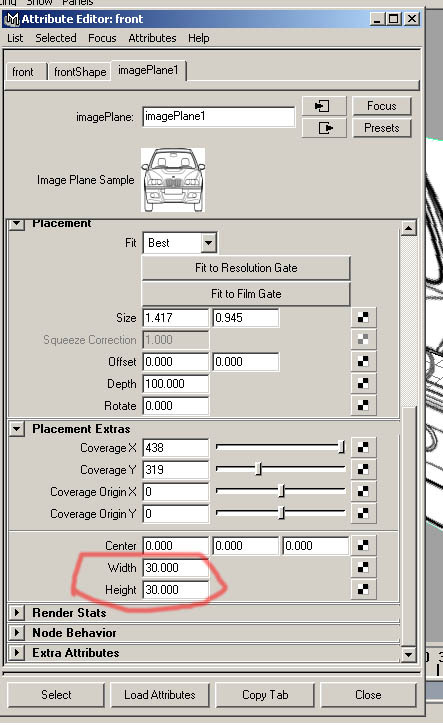 Yeah, thats it, but we need to move it, select any view and go channel box (on the right of Maya's interface), choose section INPUTS, click the name <imagePlane<n>> and change properties center X, Y, Z to acheive something like this. I hope you found this tutorial helpful for u! 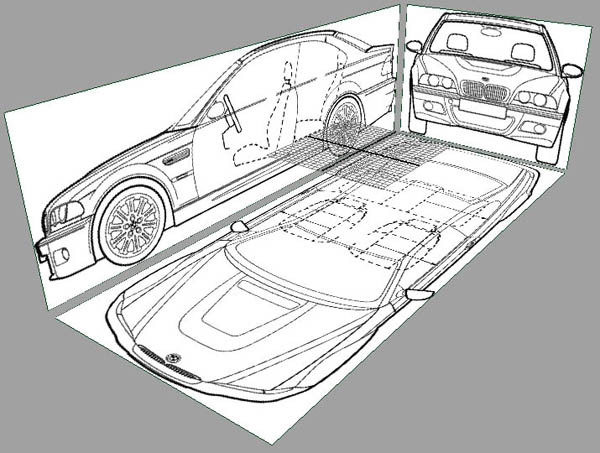 Good luck in car modelling, its a hard way u're on! If you find some mistakes or want to suggest something feel free to e-mail me!